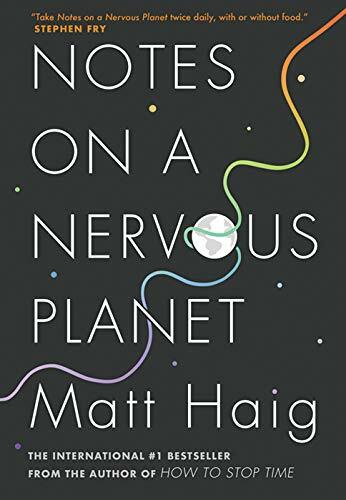 Titre Notes on a nervous planet [electronic resource (eBook)] / Matt Haig. Éditeur New York : HarperCollins Publishers Ltd, 2019. Notes The societies we are part of are increasingly making our minds ill. It very often feels that the way we live is almost engineered to make us unhappy. Whether it is our attitudes toward sleep, the marketing messages that inundate us daily, the constant and hysterical news cycle, social media or even the way we educate our children, we are programming ourselves to put our bodies and minds at odds and setting ourselves up with expectations for our lives that prevent our happiness. When Matt became ill with panic disorder, anxiety and depression, it took him a long time to work out the ways the external world could impact his mental health in positive and negative ways. Notes on a Nervous Planet shares his journey back to happiness and all of the lessons that Matt learned along the way.